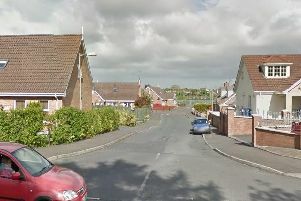 A crowd of around 50 children attacked police in Co Armagh attending reports of anti-social behaviour. This is the second time in the last four weeks the PSNI has been attacked in the Ballyoran area. The PSNI Craigavon said on their Facebook page on Friday night “Parents! Where are your kids tonight? Are they out anywhere near Ballyoran? If so, they could be part of the crowd of near 50 who for the second time this month attacked our officers whilst answering calls from the public. “Bottles came in from the area of the Bullring towards one of our crews. “We’ve had multiple complaints of anti social behavior from residents who are, quite frankly and understandably, fed up with SOME parents complete lack of control or willingness to keep their child in line. “If your child is out tonight, get them home, before they get themselves hurt or end up in one of our cells.